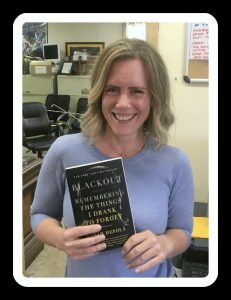 Last month, we were blessed to have Sarah Hepola come to Soul’s Harbor and discuss her New York Times Best Selling Book “Blackout – Remembering the Things I Drank to Forget”. Our guys really loved hearing Sarah’s story on alcoholism and her road to recovery. As an extra treat, Sarah signed numerous books for our residents. Thank you, Sarah! 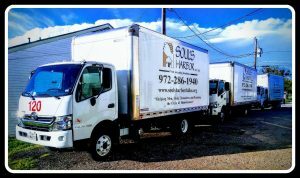 At Soul’s Harbor, we have many volunteers that come to help us out in our kitchen or warehouse or our thrift stores. Several months ago, Jesika came to help us in our kitchen. Immediately one of our truck drivers, James, was smitten by Jesika’s bubbly personality and her natural beauty. Little did we know, that several months later, Jesika and James would get married at Soul’s Harbor meeting hall with our Assistant Director, Reggie Finch presiding as the Wedding Officiant. All our guys attended the wedding. James has graduated from our 6 month program and has been hired as an electrician apprentice. He wants to work on his journeyman license. 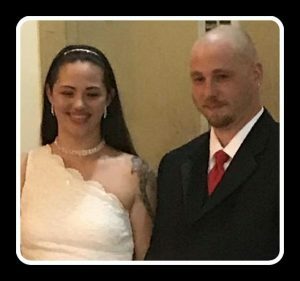 We want to wish Jesika and James a long and happy marriage. Soul’s Harbor homeless shelter is supported solely by our four thrift stores. You can donate your household items via phone (972-286-1940) or our “Household Donation Request Form” page. We also take automobiles “Vehicle Donation Request Form“. So if you have old clothes, furniture, appliances, household items, or even a car to donate to Soul’s Harbor, either fill out our online form or call our dispatch office at 972-286-1940. Our dispatch office is open Monday through Saturday from 7:00 AM to 6:00 PM. We are sustained solely through our four thrift store sales. We rely on your donated items to support our shelter. At Soul’s Harbor, we would like to thank all our customers that donate their items and also our thrift store customers. Because without our customers, there would be no Soul’s Harbor. Thank you so much for your financial consideration. Note, your tax-deductible contributions may also be submitted through PayPal to gro.s1555899156allad1555899156robra1555899156hsluo1555899156s@eta1555899156nod1555899156. *Please note: Users of Internet Explorer 8 and above may experience difficulties with our PayPal “Donate” button. Please access PayPal directly to make a financial contribution to Soul’s Harbor, Inc. Thank you!